Global: Second Edition of the Pan-Orthodox Christian publication titled ‘Collected Writings on Orthodox Christianity – Various Aspects of Eastern and Oriental Orthodox Churches’ is available for purchase. The book consists of thirty-five independent chapters by various authors. The book is written fully in Pan-Orthodox Christian nature comprising various aspects of Eastern and Oriental Orthodox Churches. 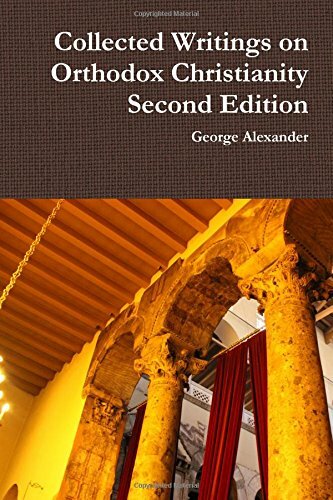 “George Alexander has done another service to both East and West, scholar and student, clergy and laity with this second edition of Collected Essays on Orthodox Christianity: Various Aspects of Oriental Orthodox Churches. I warmly recommend it.” – John G. Panagiotou (Greek Orthodox theologian and writer). Some of the topics include Letters from Syria, details of the persecuted Christians of Eritrea, Fr Themi and the Ebola Mission in Serria Leone, Orthodox Christin feasts, journeys to orthodoxy etc. The publication is available on LULU, and Amazon. This entry was posted in Featured News, News, OCP Society News and tagged Fr Themi, Oriental Orthodox Churches, Orthodox Christianity, Orthodox Christin, Panagiotou Greek Orthodox by Orthodoxy Cognate PAGE. Bookmark the permalink.